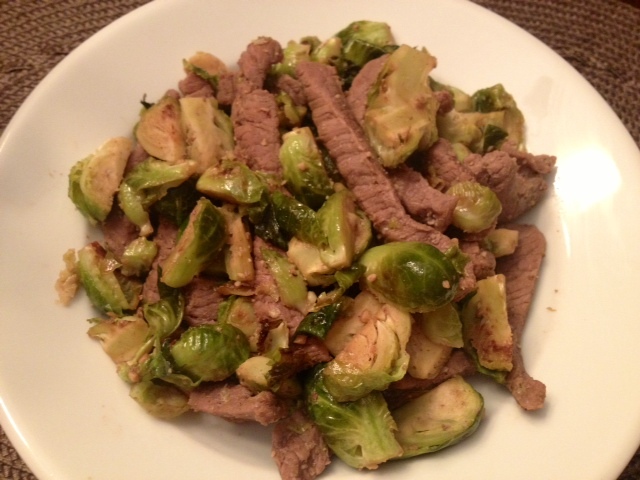 Beef & Brussels Sprouts Stir Fry. 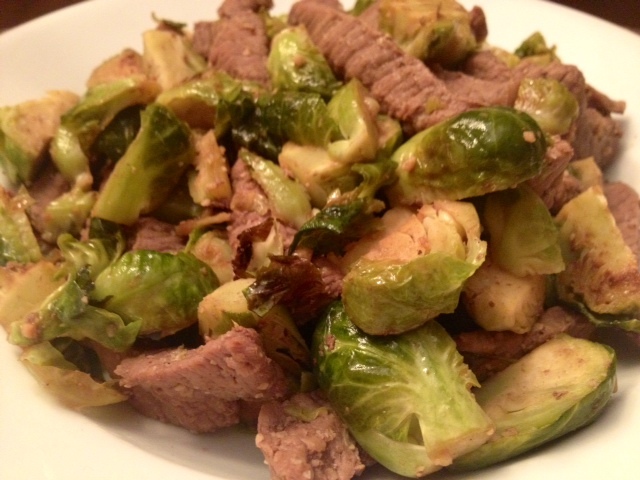 Garlicy Beef & Brussels Sprouts Stir Fry. Have I mentioned that I love Brussels sprouts?! They are my favorite. This stir fry has a rich garlic flavor with a subtle tang from the vinegar. It’s an extremely simple recipe, but it is so very scrumptious! It’s so fast to make, so it is great for a busy weeknight meal. Heat the olive oil on medium-high heat and stir in the minced garlic for about 3-5 minutes until lightly browned. Add in the beef, and cook for about 10 minutes, or until the meat is browned and fully cooked. While the beef is cooking, roast or steam the Brussels sprouts until they are tender. I roasted mine on 400 degrees for about 10 minutes, but you could also steam them for about 5-7 minutes. Once they are tender, add them into the pan with the beef to brown them and cook for additional 5 minutes, stirring often. Add the red wine vinegar (the vinegar will add a tangy flavor but also help deglaze the pan) and season with a generous dash of salt and black pepper. ← Coconut & Basil Pork Tenderloin With Avocado Mango Salsa.